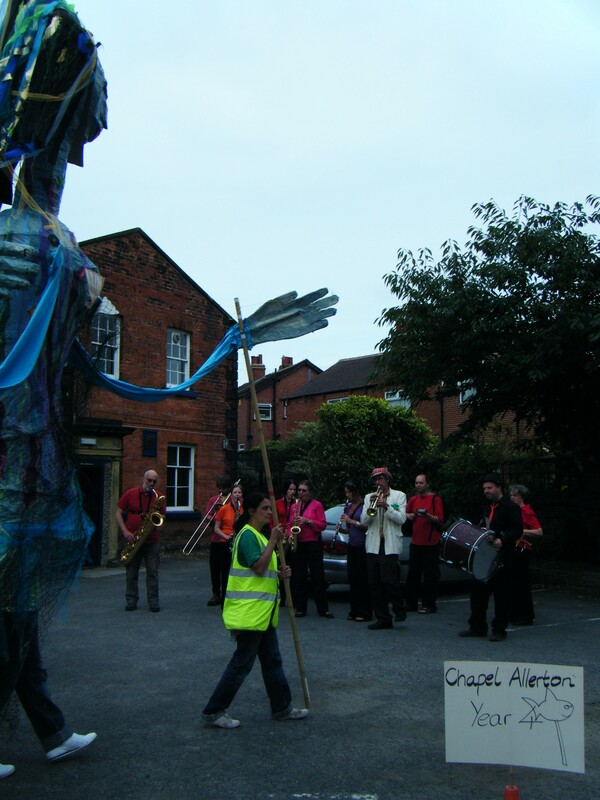 Chapel Allerton Giant Puppet Parade Video! 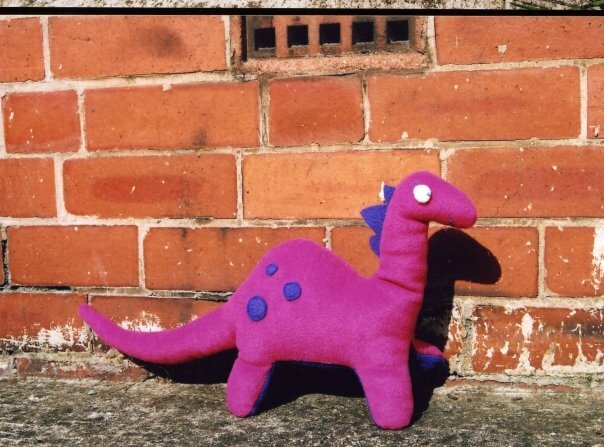 I’ve had a thought today – a couple of years ago I was commissioned to make this fleece dinosaur as a present for some one’s girlfriend; I believe I was paid with chocolate and wine which was a nice exchange! Anyway, I was thinking of making some dinosaur kits, with templates and fabric. I could also make anteater kits. On Saturday I was part of team Clam at Chapel Allerton Arts Festival as part of the giant puppet parade I have been volunteering for. 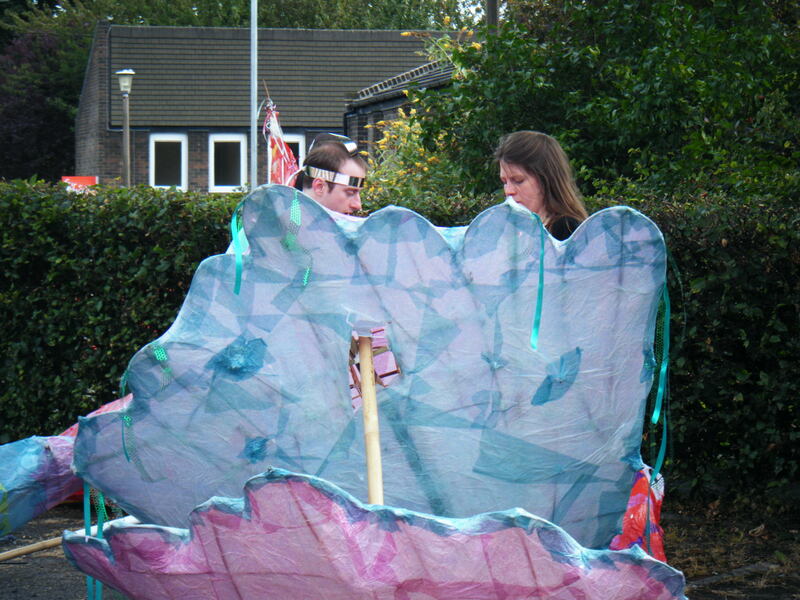 During a series of Saturdays a bunch of us constructed the clam (Carlos) out of willow, cellophane and tissue paper. Originally it was going to have bubbles blowing from it, but this proved a bit tricky. It still had the proposed up and down clamming motion though in its finished state, and I was in charge of The Clamming which was tough on the arms but probably not as hard as carrying the thing. Other sea creatures in the parade included an octopus, a huge and quite terrifying mermaid and hundreds of giant fish, jellyfish, and tiny fish that school children had made. HelloG! 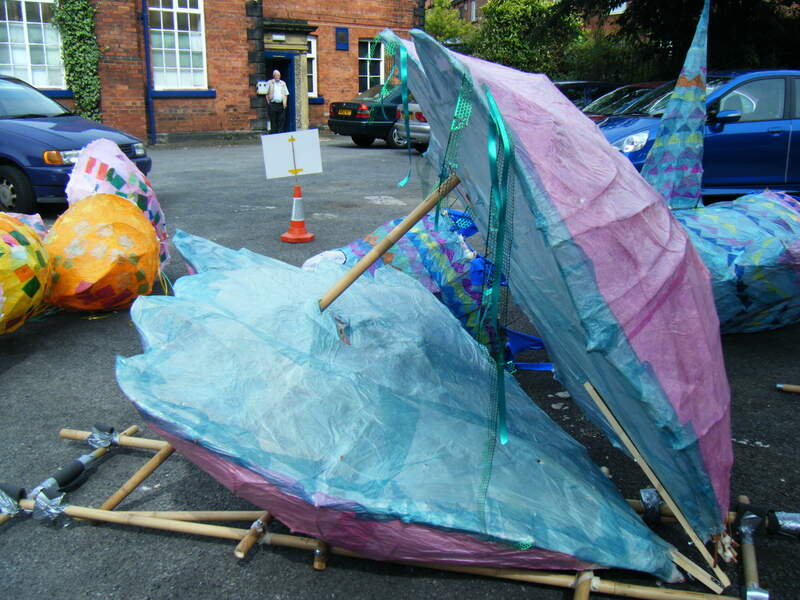 Take a look at the Chapel Allerton Arts Festival Giant Puppet parade blog! Heres and example of one of the mock up puppets artist and designer Tony Wade has created for year 5 students to start building next week. The head was made by children in previous workshops. Eleanor Snare and I lead a sewing workshop; we made a variety of fabric animals and monsters with visitors who only had to pay a pound to participate. We were very impressed with one girl’s multi coloured cat which she created completely from scratch with very little instruction from either of us! Eleanor also made a dress by re-styling a striped t-shirt with some blue fabric, and a floral bag – photos to follow! I’ve recently become involved with a project that aims to get children from local primary schools and young adults from within the community to try their hand at a spot of puppet building for this year’s Chapel Allerton Arts Festival. 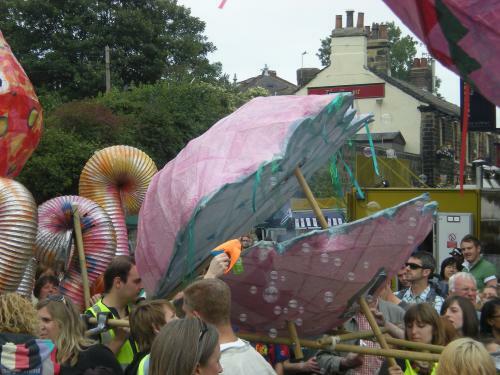 The puppets will range from small hand held pieces to lumbering great carnival style jobbies, and are destine to form a colourful boat themed parade through Chapel Allerton’s streets to kick off the festival weekend. This year the festival is starting from Monday 30th August – Sunday 5th of September. Check out the festival web site here. Artist Tony Wade of Yorkshire’s ‘Faceless – Access to the Arts’ (www.facelessco.com) will be leading workshops, along with volunteers. The school workshops will be starting at the end of May and carry on through out the summer. 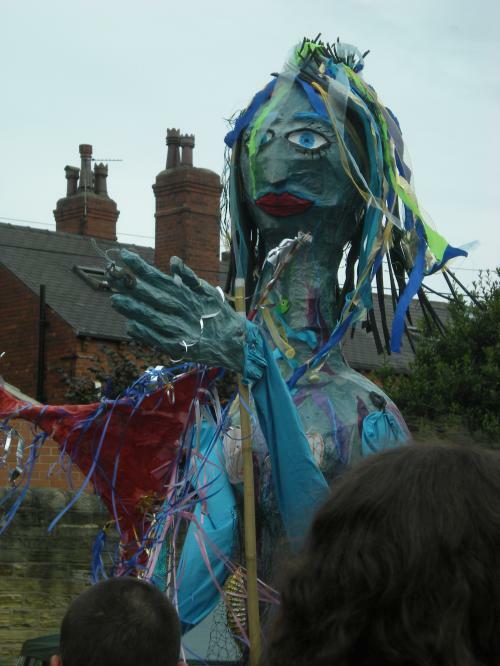 The Community workshops taking place on Saturdays in July are aimed to teach young adults some new puppet building skills – I am really looking forward to helping out as this is something I’m really interested in, and some of the pieces proposed look like quite a challenge! A large enough location for some uber builds is being scoped out by the festival organisers this week. I have agreed to help out with a blog documenting the ongoing workshops for the next couple of months, so stay tuned for a link/more info re: when and where you can attend the community workshops.